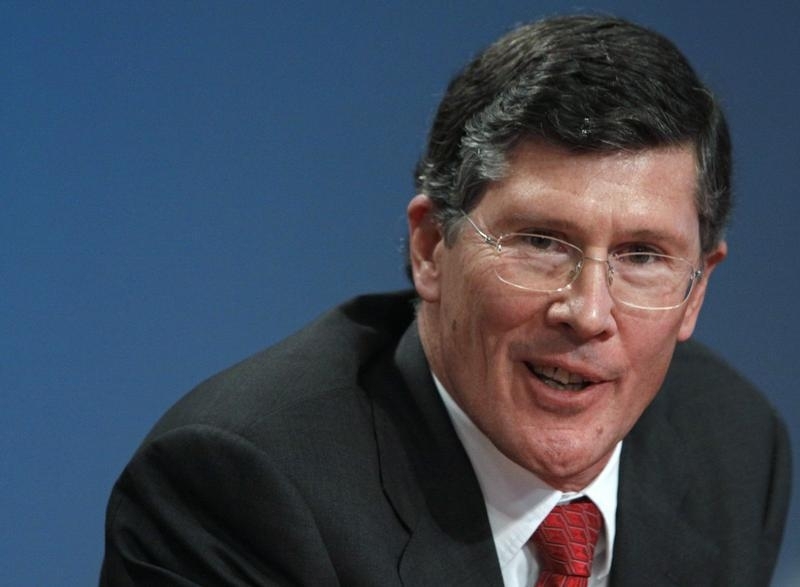 John Thain is returning to significance with a little help from some former Goldman Sachs colleagues. Thain has been doing penance running lending minnow CIT for the past four years after serving as Merrill Lynch’s last boss. Now he’s spending $3.4 billion to buy OneWest Bank, which is owned by, among others, a gaggle of Goldman alums. The deal manages to bring CIT, and Thain, back into the club of systemically important financial institutions, if just barely. He’s not up there with the big boys yet. Adding OneWest’s balance sheet increases CIT’s total assets by half to $67 billion. That’s over the $50 billion threshold regulators have set for SIFIs, but a long way from his former Wall Street employers. Goldman Sachs has $860 billion in assets while Bank of America, which bought Merrill, has a $2.1 trillion balance sheet. Nonetheless, Thain seems proud at vaulting the hurdle. The bank, he told investors on Tuesday, has been preparing to do so through organic growth for several years. He has a crew of ex-Goldman friends to thank for getting him there sooner. Several are partners in IMB Holdco, which was created to buy the assets of bankrupt lender IndyMac from the Federal Deposit Insurance Corp in 2009. These include a former Goldman boss, Steve Friedman, Christopher Flowers, Charles Davis and Robert Leeds – not to mention Steve Mnuchin, who is also OneWest’s chairman and chief executive. These owners – along with John Paulson, Michael Dell and George Soros – have made out well selling up. Factor in the $500 million in dividends they have received since 2009 and they’re booking a 150 percent profit on the $1.55 billion they invested. It’s a good deal for CIT, too. Deposits will account for 57 percent of the middle-market commercial lender’s funding, up from 44 percent. That should shave 1 percentage point off its funding costs, a significant saving for the firm, which only managed a lackluster 7.5 percent pre-tax return on tangible common equity in the first six months of the year. OneWest’s earnings will also allow CIT to use up more of its net operating loss credits, bolstering net income further. That has Thain predicting a 13 percent pre-tax return on tangible equity and a 15 percent internal rate of return on the deal by 2016. All told, it’s one friendly deal. CIT Group announced on July 22 that it is buying California-based OneWest Bank for $3.4 billion. The lender is paying cash for 59 percent of the purchase price and stock for the rest. OneWest is owned by IMB Holdco, a consortium of investors including Steve Mnuchin – who is also the group’s chairman and chief executive – J.C. Flowers, Paulson & Co, Stone Point Capital, Silar Advisors and funds run by both Michael Dell and George Soros. OneWest is the successor company to IndyMac, the lender which went bankrupt in 2008. IMB Holdco bought many of IndyMac’s assets from the Federal Deposit Insurance Corp in 2009.